Element ski school, set up in Verbier last year by a female ski instructor, is running women-only ski “camps” this winter. Weekend and week-long ski schools are aimed at three levels: intermediate, advanced and expert. Skiers get daily video feedback and action plans, plus life-coaching for “women who love mountains”. Snoworks has a new all-terrain course in Baqueira Beret in the Pyrenees north-west of Andorra. It is open to “adventurous intermediates” and above, and involves five days of off-piste skiing, steep couloirs and heli-ski options. 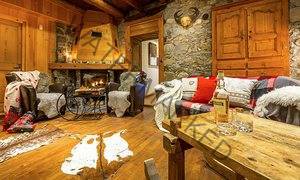 Accommodation is in a four-star chalet. Moontain Hostel is a new pad for skiers on a budget, with dorm beds from just €20 and private rooms from €60. Breakfast is from €7, packed lunch €4 and dinner €10. 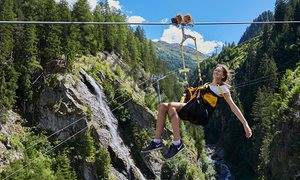 The hostel is at 1,350 metres in the centre of Oz-en-Oisans, which is linked by pistes and chairlift to Alpe d’Huez and three neighbouring resorts. There’s a handful of bars and restaurants in the village, which is 50km from Grenoble. 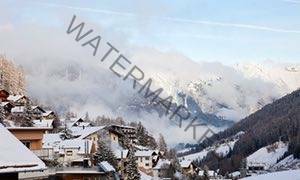 RockyPop Hotel, Les Houches, Chamonix. 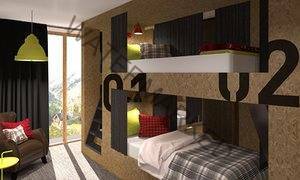 This hotel/hostel hybrid in Les Houches is another great budget option, with dorm beds from €10, quad rooms from €100 and doubles from €60. It is a fun place to stay, with pop-art-inspired design, a hairdresser, a photo booth and film nights. There are three food counters: serving burgers, pizzas and Savoyard specialities. The bar serves decent cocktails and has live bands and DJ sets. The RockyShuttle heads to the slopes twice a day. 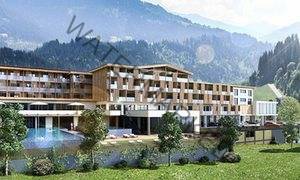 The fitness team at this resort work with the University of Innsbruck to put together training programmes for guests, and there is a yoga room, gym and outdoor training area, spa and pool. Beginner skiers who want to get fit are welcome, as are advanced skiers. A cable car runs from Hopfgarten to the top of the Hohe Salve in the SkiWelt Wilder Kaiser-Brixental ski area. • From €85pp a night half-board, including fitness facilities, opens December, hohesalve.at. New routes for skiers this winter include Stansted to Chambéry in the French Alps with BA (twice a week, from £100 return, britishairways.com). 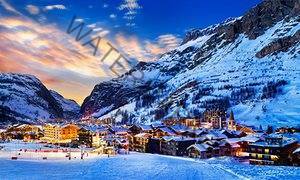 This gives easy access to several resorts: Espace Killy, Les Trois Vallées, Paradiski Val d’Isère and Tignes. Delta is flying from Heathrow to Salt Lake City this year, the first time skiers can fly direct to the US resorts of Deer Valley and Park City (up to four times a week, from £885 return, delta.com). They can also reach Jackson Hole with a one-hour onward flight. EasyJet has new flights from Gatwick to Åre-Östersund, Sweden, from 11 December (once a week, from £46 return, easyjet.com). 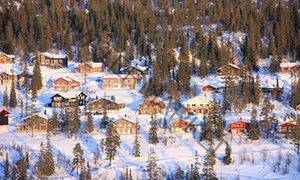 The airport is near two resorts, Åre and Vemdalen, both good for first-time and family skiing. Lech and St Anton are merging to form Austria’s biggest ski area: 340km of marked ski runs. A new lift between Stuben/Rauz and Zürs will connect the entire Arlberg area. It is best explored on a new 65km, 18,000-vertical-metre ski circuit, the Run of Fame. The route starts in St Anton, heads to Lech and Zürs, then over to Warth and Schröcken, before the White Thrill run back to St Anton. Solaise, one of the two main mountains in Val d’Isère, his just finishing a two-year, €16m redevelopment. 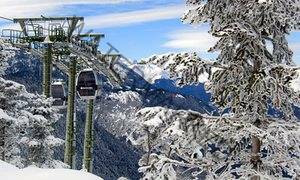 The final phase is a new gondola, which opens in December, increasing capacity by 40%, carrying 3,600 passengers an hour and taking just seven minutes to reach the summit. 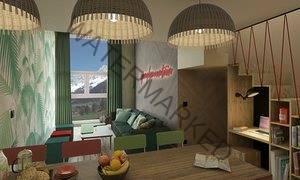 A new day lodge at the top has great views and welcomes picknickers – so no more overpriced resort food. There is also a new beginners’ area, which means novices can enjoy learning at the top of the mountain. Finally, there is a new €35-a-day lift pass for green and blue runs. This event, which was trialled last year, combines ski touring and wine tasting. 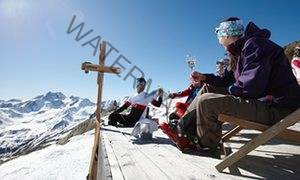 Skiers are guided between mountain huts by an instructor and a sommelier; the latter gives tutored tastings of local wines at each stop. Val Thorens, Europe’s highest resort, is holding a film premiere-themed opening weekend on 26-27 November. As well as red-carpet fun, there will be activity zones offering tasters of ski touring, carving, snow-scoot trampolines and big-air bags; instructors on hand to guide skiers around the area; the chance to test new ski equipment; and an après-ski show. Ski Safari has a new trip to Vemdalen in west Sweden, which has three linked ski areas – Björnrike, Vemdalsskalet and Klövsjö/Storhogna – and activities such as dog sledding and snowmobiling. In Björnrike, the new Sameland is a place to learn about the Sami people, feed the reindeer and have a traditional meal in a Sami house. AliKats Mountain Holidays is running a health and fitness week in its luxury chalets in Morzine, with activities before and after skiing. They include stretching, yoga, pilates, trail running and sports massage, plus four days’ skiing with an instructor and two days of free skiing. There’s healthy food on the menu, and a hot tub and sauna for aching muscles. OK, it’s far too expensive for most of us, but superfans might be tempted by a week’s skiing with Eddie the Eagle. The trip involves six days of skiing in three resorts – Kicking Horse, Lake Louise and Revelstoke; a tour of the Olympic Park in Calgary where Eddie became a ski-jump legend in 1988; and a snowmobile evening. Skyfly, a 2km twin zipwire from mountain to valley in Ischgl, is a new way to reach the après-ski pronto, after a hard day on the slopes. It starts at the Silvretta gondola mid-station and lands on the valley station of the Pardatschgrat gondola; cables are 50m above the ground and riders can reach speeds of up to 84kmph (52mph). Ski and snowboard gear can be hooked up to fly down with the owners; it beats queueing for the gondola.